Far better known as a popular and versatile actor in Italy and parts of Europe than in his native country, the United States, John Kitzmiller was born in Battle Creek, Michigan, on December 4, 1913, one of two children of John B. and Mary E. Kitzmiller. In his youth he seemed destined for a career in science and technology. In high school Kitzmiller joined the Chemistry Club and at the University of Michigan he earned his bachelor’s degree in chemical engineering in 1937. When World War II intervened, Kitzmiller, as an Army captain, was stationed in Italy in 1943 serving with the all-African American 92nd Infantry (Buffalo) Division which rebuilt bombed roads and bridges. He was one of the few black soldiers who chose to remain in Italy after the war rather than face the racial situation in the United States. The fact that both his parents died while he was in military service further loosened his ties to home. In the spring of 1946, while in the middle of a poker game, Kitzmiller was spotted by film director Luigi Zampa and producer Carlo Ponti who instantly liked the way he looked and laughed and persuaded him to appear in Vivere in pace (To Live in Peace, 1947). Kitzmiller played an American GI who, along with a white American journalist, escapes capture by Germans and is sheltered by Italian farmers. The award-winning neorealist film was hailed internationally by critics who welcomed it as a refreshing antidote to Italy’s Fascist-era productions and as proof of the revival of Italian cinema. His next two features were set in the criminal underworld. In Tombolo, paradise nero, (Tombolo, Black Paradise, 1947) Kitzmiller played a corrupt, lustful brute. Some critics claimed the film embodied the racial fears and prejudices of Italians. In Federico Fellini’s Senza pieta (Without Pity, 1948) the principal character—Jerry Jackson, played by Kitzmiller—is fatally obsessed with a woman who does not return his affection in kind. Senza pieta briefly gave Kitzmiller the status of a movie star in Italy. The film was also enjoyed in American art houses and was popular on the university circuit, particularly among black students. With the decline of neorealism, in the 1950s Kitzmiller adapted to changing tastes. He had a minor role in Luci del varietà (Variety Lights, 1950) as Johnny, the carefree black trumpeter, and played an assortment of supporting characters in Canto per te (Song for You, 1953), the French film, Quai des blondes (Dock of Blondes, 1954), and The Naked Earth (20th Century Fox, 1958), an American adventure movie set in Africa. 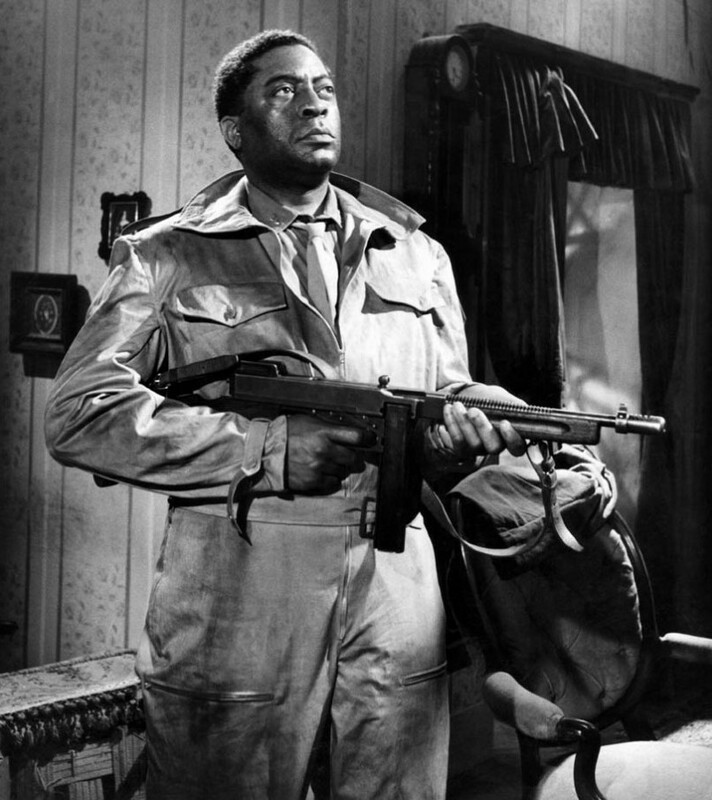 In 1956 Kitzmiller played in the Yugoslavian (Slovenian) war film Dolina miru (Valley of Peace, 1956), about a downed black American pilot who met and cared for two displaced children. He won the best male actor award at the 1957 Cannes Film Festival on the strength of his portrayal, a first for an actor of African descent. It is estimated that Kitzmiller starred in more than 40 foreign films. He worked steadily in the early 1960s, appearing in melodramas, horror movies, pirate adventures, and television mini-series. He is probably best remembered by American audiences for his role as Quarrel, James Bond’s ill-fated ally in the blockbuster spy thriller Dr. No (1962). Ironically, Kitzmiller’s acting career closed with him playing Tom in a European production of Uncle Tom’s Cabin titled Onkel Toms Hütte, released in 1965. Reputed to be an alcoholic, John Kitzmiller died in Rome on February 23, 1965, of cirrhosis of the liver, two months after marrying a Yugoslavian woman, Dusia Bejic, in Belgrade. He was 51. Saverio Giovacchini, “Living in Peace After the Massacre,” Global Neorealism: The Transnational History of a Film Style (University Press of Mississippi, 2011); http://www.thewildeye.co.uk/blog/performers-directors/black-actors-in-italy/john-kitzmiller/.